In the summer of 2015, the building recession appears to be ending, and most construction firms are optimistic about near-term future prospects. Healthy growth in construction, however, presents the industry with a problem. With fewer young Americans choosing to learn a skilled trade and more construction employees choosing to retire, the country is experiencing a construction and skilled labor shortage. According to a report by The Associated General Contractors of America, most firms are looking to increase their payrolls for the first time in a decade. But the lack of qualified workers, especially skilled workers, has raised doubts that the construction industry can capitalize on the recent boom. What Caused the Skilled Labor Shortage in Construction? There are many possible reasons why the younger work force are not learning skilled trades. Certainly, the economic recession discouraged some from entering construction. But another disconcerting reason is that many young people may not want to do the “dirty work” associated with skilled labor jobs. The problem seems to stem, in part, from a cultural lack of respect for blue-collar work. The presiding conventional wisdom is that young people must earn a four-year college degree to make a good living. In reality, this ideal path is a myth for some people. Too many students graduate from college with massive debt and dim job prospects. Instead of earning a good living in the skilled trades, many young people ignore the construction industry. They do not comprehend the potential of a skilled labor career in the construction industry. In the meantime, older skilled employees are retiring or preparing to retire. And they are taking their skills and knowledge with them. As a result, they have created a skilled labor shortage in the construction industry. Construction industry Recruiter Meredith Love learned of a South Carolina construction company that could not find any available framing crews locally. So they hired a crew from Texas to work on a project in Charleston. But the day after the framers arrived, they were offered another job that paid slightly more. The foremen and his crew left immediately to return to Texas without doing the work. Another company had a desperate need to find a labor crew for a project starting the following week. The company ended up shelving the project because they couldn’t find enough skilled laborers to do the job. Many construction companies are losing projects because they can’t find skilled laborers to do the job. Other companies are losing margin on the jobs they do complete because they have to use smaller crews than they originally planned and budgeted for. With the skilled labor shortage, employers and industry search firms are having a difficult time filling crews with qualified candidates. This is a sign that construction projects in America are increasing faster than skilled labor can keep up. Construction industry news publications and the mainstream press frequently report on this issue. In 2013, Forbes Magazine reported that more than half of all skilled construction employees in America are 45 years of age or older. Since too few young people are training to replace the retiring employees, it leaves construction companies in a bind. Construction industry recruiter Korre Humes noted, “I think that young America doesn’t understand you can raise a family, have a home and be a productive citizen if you learn a trade…. A dedicated employee can come up through the skilled labor ranks and do very well.” The question is: How can the construction industry get that message to the younger generation? Start now to deal with this problem. If you can engage your home community, you’ll gain a strategic advantage over other companies when it comes to recruiting for your future construction needs. Develop a grassroots campaign in high schools, community colleges and vocational centers. Attract the younger work force to the skilled trades. Offer apprenticeships and training programs. Send a valued foreman to promote skilled trade careers directly to future employees. Personal stories are powerful, and a good speaker can correct misconceptions about skilled labor careers and spread the word about the financial incentives. Advertise skilled labor careers as a viable alternative to white collar work. Recognize that the children of career skilled laborers are often drawn to the same career. Increase retention and recruitment in the construction industry by making your current skilled laborers more satisfied. They’ll take this message home. Give your employees a chance to move up the ranks. Show them that your company values their skills. Management in the construction business is a huge field as well. Make inroads with recent immigrant and minority populations. Eager to learn and not afraid to work hard, they may make excellent skilled employees. Another way to fight the skilled labor shortage is to retain the employees you already have. 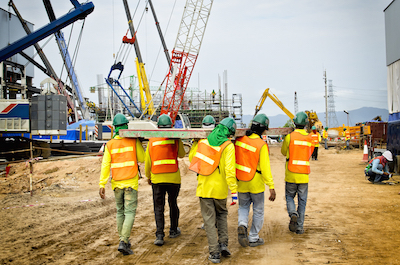 Employees are a construction company’s most valuable assets. To understand how to retain those assets, you need to know why people are motivated to change jobs. The First Decade. Early on in their careers, employees seek varied job experiences. They are more likely to accept positions that require travel. During this first decade, however, these employees often develop a need to “put down roots.” They want a position that will allow them to move back to their hometowns or to the location where they want to start a family. The Second Decade. For construction workers in their second decade, the main driver for job change is a desire to maximize their career potential. This group is highly motivated to grow professionally — both to make more money and to seek career advancement. These employees are most likely to make a change if they feel there is no room to advance. The Third Decade. Employees in the third decade of construction careers often are motivated to make a job change because they’re seeking a better work/life balance. They may want to slow down, travel less or create a more relaxing lifestyle. This group may also be motivated to move to a future retirement location. Admittedly, these are broad generalizations, but when you understand what’s driving employees to leave your company, you can find mutually beneficial solutions. One strategy for fighting the construction skilled labor shortage and improve retention is to schedule regular meetings to discuss both professional and personal goals. Encourage an open dialogue about your employees’ plans. Finding innovative ways to increase retention rates may help your company grow in ways you never suspected. 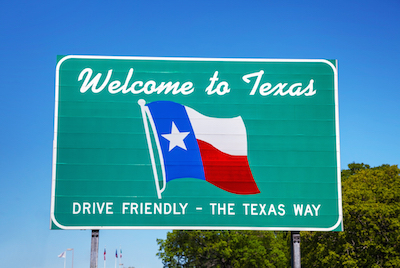 For instance, an employee of a construction company in Las Vegas wanted to move to Austin, Texas, to be closer to family. The company did not have a presence in Austin, but because this particular employee was valuable and had a lot of potential, they offered him a new position: to grow a presence for them in Austin. Most people want to stay with the same company whenever possible. They are already familiar with the culture, policies and expectations of the company. If you take proactive steps to satisfy your employees, therefore, you may be able to keep them on your team. These are just a few suggestions your company can implement regarding the current construction and skilled labor shortages. 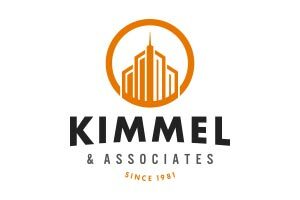 Kimmel & Associates wants to be part of the solution, so we founded Building Future Builders, a non-profit organization that helps students get the training they need to succeed in construction management. With a little talent and education, we can train up the next generation of employees to fill executive construction positions. In due time, we’ll close the gap on the shortage of skilled laborers.